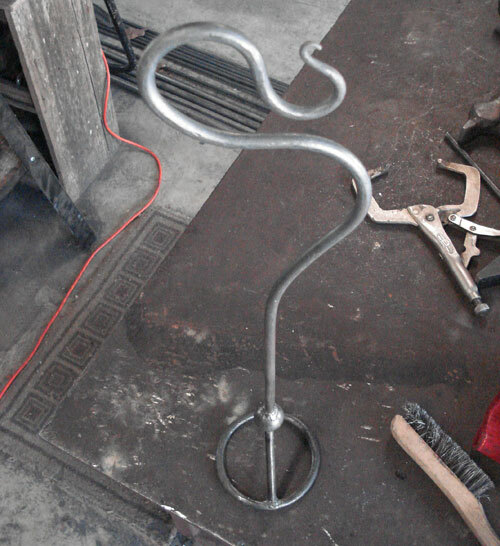 Had a neat challenge to create a branding iron as a gift to a local elementary school. The initials of the school would be the brand symbol. The piece is essentially constructed with 3/8 inch round bar. This first shot shows the ring being formed hot from the forge. 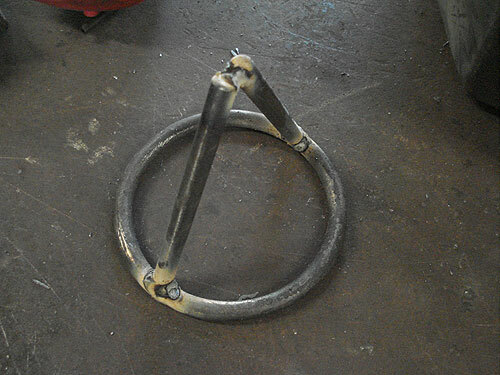 The finished ring is welded together and cleaned up with a file. Next the ring has steel extenders welded to it. This adds additional length from the handle. 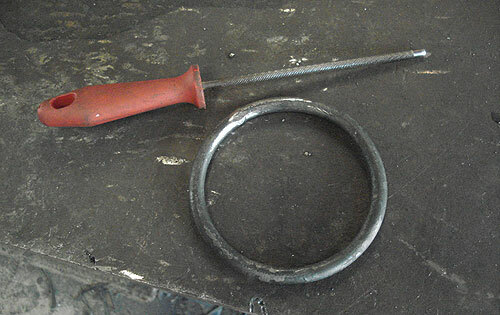 This last shot shows the hand-forged handle attached to the ring assembly. I will post a finished photo soon.